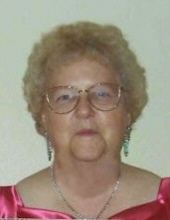 RoseAnn (Hurd) Marsh, a devoted wife and loving mother of three and resident of Belgrade, MT, died unexpectedly on April 8, 2019 at the age of 79. RoseAnn was born in Hornick, IA on November 3, 1939 to Walker Henry Hurd and Leola (Cutler) Hurd. On August 5, 1958, she married Edmond, in San Diego, CA, who was on leave from the U.S. Navy. She later welcomed three beautiful children, and four grandchildren, who were the most important part of her life. She will be deeply missed by her friends, family, and all who knew her. RoseAnn, a member of The Church of Jesus Christ of Latter-Day Saints, was very active with her church until health issues kept her from participating. In her leisure time, she was an avid reader. RoseAnn is survived by her husband, Edmond Paul Marsh; her children, Beverly Ann Marsh and John Richard Marsh and her grandchildren Carolyn Marsh, Jayden Marsh and Ruby Marsh. She is also survived by her siblings Edna Erhart, Leola Lambson, Victor Hurd and Ronnie Hurd. She is predeceased by her son Jeffrey Charles Marsh, grandson Kevin Marsh and five of her siblings. A Visitation will be held at noon with a Funeral Service at 1:00 p.m. on Friday at Dahl Funeral & Cremation Service Tribute Center, Bozeman, MT. Bishop Sam Allred will officiate. Flowers, donations and condolences may be offered at 720 Silverbow, Belgrade, MT 59714. To send flowers or a remembrance gift to the family of Roseann (Hurd) Marsh, please visit our Tribute Store. "Email Address" would like to share the life celebration of Roseann (Hurd) Marsh. Click on the "link" to go to share a favorite memory or leave a condolence message for the family.